According to recent statistics, only 2.8% of adults with dental insurance max their coverage by the end of the year. Thus, the money they spend monthly on premiums, which can range from $15-$60, becomes a wasted investment. An easy way to turn the tables is through preventive care visits. These appointments are designed to offset or limit the need for complex dental procedures by providing a way to address any issues early. An added attraction is these visits are usually fully covered by insurers. What Happens at Preventive Care Appointments? Preventive care visits should be set every six months. They provide you with professionally-cleaned teeth, tediously-conducted examinations and the chance to speak with your dentist about the condition of your mouth, teeth and gums. If it’s your first visit, you can also expect there to be X-Ray photos taken of your bone structure so the professional can monitor it to make sure it remains healthy and strong. Likely, your dental insurance will pay for 100% of the costs of preventive care visits. Maintaining regular appointments with your dentist can lessen your chances of needing basic procedures like cavity fillings and root canals, which typically require copays of 20-30% of the total cost. You can also prevent the need for major dental care, which includes such treatments as crown restorations and dental bridges. Usually, you can expect to pay up to 50% of the charges for procedures like these. 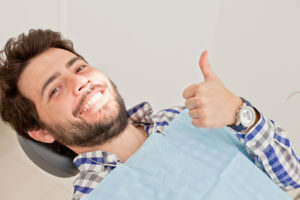 The only way to reap the benefits of dental insurance is to use it. Unfortunately, most companies will renew coverage at the first of the year. Therefore, if you’ve failed to take advantage of the previous year’s coverage, it’s simply lost on January 1st, as the new benefits for the next 12 months are activated. So to avoid wasting your money, an easy remedy is to contact your dentist in Bloomfield to schedule a visit today. By taking this proactive step, you can finish the year with a healthier mouth, teeth and gums! Dr. David G. Banda is a graduate of the University of Michigan, where he earned his D.D.S. degree. He has since gone on to become a sought-after speaker who has provided insight in several areas, including implantology and other advanced surgical techniques. Dr. Banda takes pride in making every patient feel comfortable by providing them with compassionate and comprehensive care at Cranbrook Dental Group, and he can be reached for more information through his website.